There are many islands on our planet Earth that vary in many factors like size, geography, climate, flora and fauna. It is assumed that there are about 2000 islands located in different Oceans. We are listing ten largest Islands in the world that are located in different part of the world. If you ask me what is the largest island in the world? then the answer is Greenland. 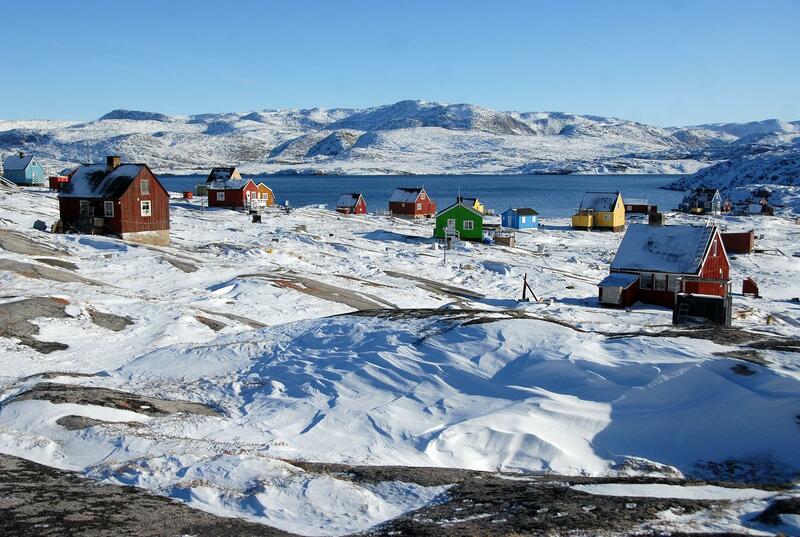 Greenland with a total area of 2,130,800 square kilometres is the largest island in the world. It is located between the Atlantic and the Arctic Ocean. One of the best places to see the northern lights, Greenland is the territory of Denmark. The 80 per cent area of Greenland is covered with ice and glaciers. There are only 57600 persons living on this island. There are no roads connecting the towns of Greenland. Greenland has the second largest ice sheets in the world just behind Antarctica. The island was discovered by Viking’s in the 10th century. Also, Greenland is among the countries with longest coastlines. The New Guinea Island exists in the western Pacific Ocean and it is the second largest island with an area of 785 square kilometres. The island comes under two countries. The western part comes under Indonesia, and eastern part comes under Papua New Guinea. The New Guinea Island has a vast deposit of Gold and Copper. You must also know about beautiful lakes around the world. The New Guinea Island has a maximum number of beautiful bird species that exist on this earth. There are many smaller groups of the island on Papua New Guinea that includes Bismarck Archipelago, New Britain, New Ireland and the North Solomons. Some of these are unexplored and volcanic. The Borneo Island exists in the west mid-Pacific Ocean. This is the third largest island in the World after Greenland and New Guinea. The Borneo Island is the only island in the world that is administered by three countries. The three countries are Indonesia, Malaysia, and Brunei. The majority of the portion comes under Indonesia. Borneo Island is the third largest island in the world, and it has almost doubled the land as of Germany. The highest peak in Southeast Asia namely Mount Kinabalu is located on this island only. The rainforest of Borneo Island is one of the oldest among all the rainforest. The rainforest of Borneo island is one of the oldest in the world date back to 130 million years. Also, there are around 200 different ethnic groups in Borneo. We also recommend you to read about a few beautiful lakes around the world. Madagascar Island exists in East Coast of Africa in the Indian Ocean. It is the fourth largest in the world with the area of 587,713 square kilometres. It is considered that Madagascar Island was formed 88 million years ago by its separation from the Indian subcontinent. There are approximately about 250000 species found on this island. The unique fact is that 70 per cent of animals found nowhere else in the world. This island is also called an alternate world. You will also like reading fascinating waterfalls in India. The cat-like looking lemurs are only found in the forests of the Madagascar Island. All plants and animals found on this is unique to this island and Madagascar is known for two seasons a dry cooler season that starts in May and will end in October and the second one is the hot rainy season which starts in November and last until April. Sumatra Island located in Indonesia. It is the fifth largest island in the world with 480,848 sq. Km of land. The Sumatra Island is also the second largest island in Indonesia. Sumatra Island has very frequent earthquakes and Tsunamis. The reason behind is that Island is located in the subduction zone of Indo-Australian and Eurasian tectonic plates. The most region of the island is covered with the dense rainforest. The Sumatra Island is also home to many endangered species. The species are a Sumatran tiger, Sumatran orangutan, Sumatran Rhinoceros and Sumatran Ground-cuckoo. You must also know about longest rivers in the world along with the largest islands. Honshu Island is the largest island in Japan. It has a wide area of 225,800 square kilometres. The island is also unique since it covers 60 per cent of the land cover of Japan. There are five important cities in Japan that come under this island. They are Tokyo, Kyoto, Hiroshima, Yokohama, and Osaka. The Honshu island is the second most populated island and one of the largest Islands of the World after Java. Japan highest mountain Mount Fuji is located on Honshu island only. It has the largest lake in Japan namely Lake Biwa. It is also listed under beautiful lakes around the world. The Victoria Island is located in Canada. It is the second largest island of the Canadian Arctic Archipelago. It has a total area of 217291 square kilometres. The Island was explored by Thomas Simpson, who is also known for the explorer of Arctic region. It was discovered in 1838. As the name suggests, the Island was named after Queen Victoria. According to the 2006 census, only 1875 human life on this vast island. Also, please read about beautiful glaciers in the world. The Great Britain Island located in The Northwest of the European continent and considered as one of the largest Islands of the World. It has an area of 209331 square kilometres which is making it the largest island in Europe and the ninth largest in the world. It is part of three regions England, Scotland, and Wales. Great Britain has pleasant and nice weather throughout the year. Great Britain is also the most populated region of Europe. It is considered that Human inhabitation started 500000 years ago on this Island. The Island is located in the Nunavut province of Canada and one of the largest islands of the world. It has a total area of 196,236 square kilometres. It is the third largest Island in Canada and the tenth largest Island in the world. The Ellesmere Island comprises many ice fields and mountains. It is considered that Ellesmere Island has remains of last Ice age. We have also listed a few endemic animals of Galapagos Islands. Ellesmere Island has the highest peak of Nunavut province at an altitude of 2616 meters. These are the largest islands in the world. Do post your comments.